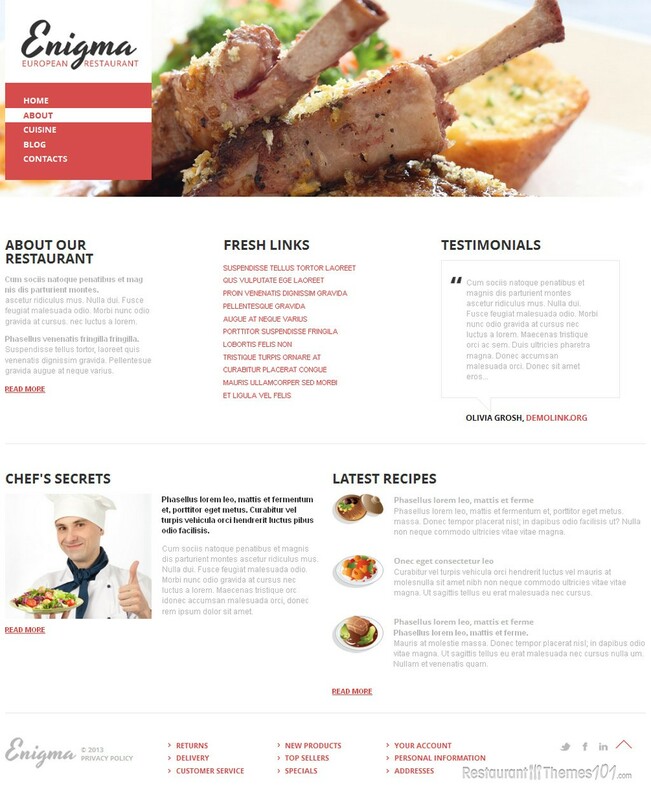 Enigma is a responsive restaurant template for Joomla created by Glenn and featured at Template Monster. 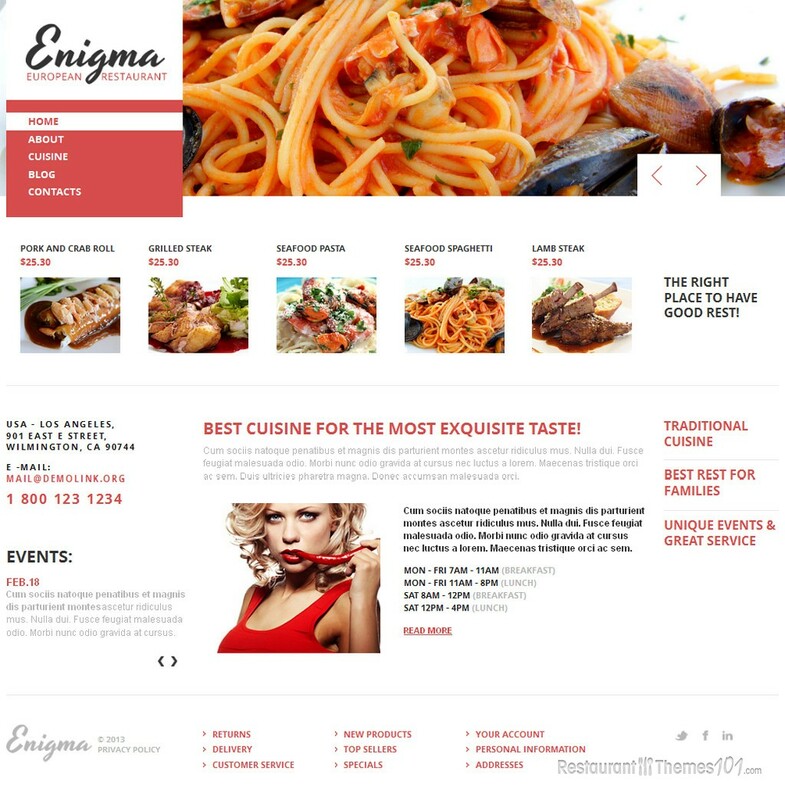 When it comes to layout design, Enigma features one that is very well organized, clean and fresh looking. This layout was specifically built to put your content in the spotlight, with just few basic colors used: white, red and black. The homepage is enhanced by a full width slider, where you can post mouthwatering photos of your delicacies and let them showcase the wonderful food you offer to your visitors. The most popular meals or special offerings can be presented on the homepage with thumbnail photos and prices, and by clicking on them your visitors will be taken to a page where they can get detail informed about the featured meal. This template doesn’t only look good; it features some useful options as well. You will be able to present your recent events on your website and feature them on your homepage along with dates and descriptions. Your working hours will be clearly displayed so your guests know when the best time for visiting your place is. Featuring various posts is very easy, and this template allows you to present all of the important data on the homepage making sure everyone’s attention is right where you need it to be. 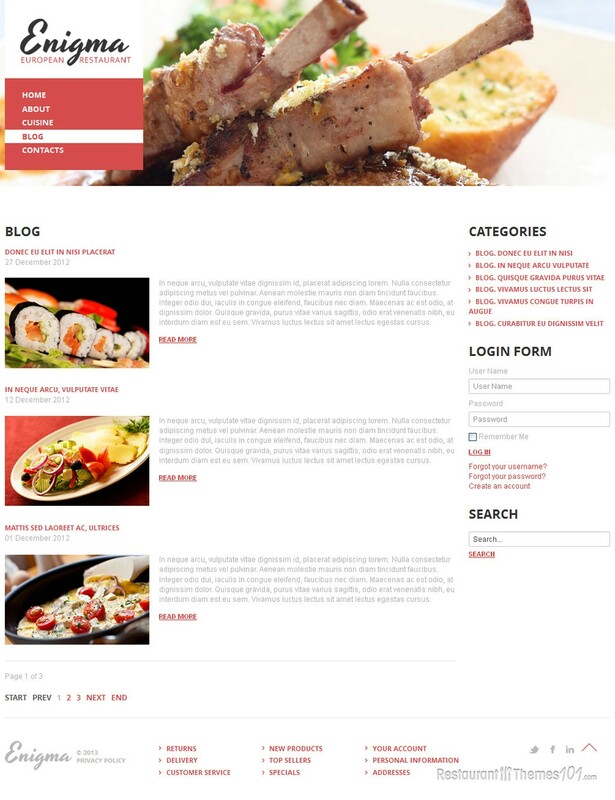 The menu looks great and is very easy to create and modify. The contacts section presents Google Maps integration. 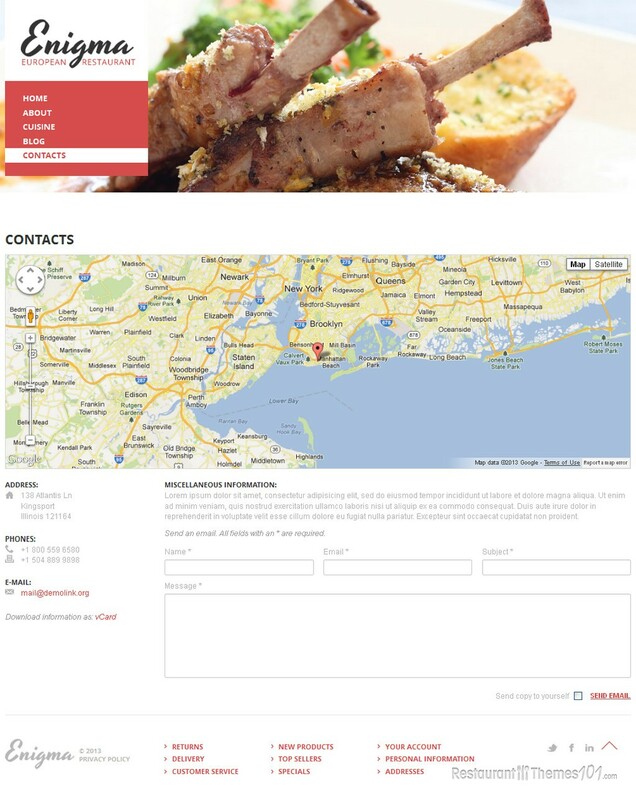 You will have a full map with exact direction to your restaurant right there on your page, and there is also a simple working contact form included, for easy interaction with your visitors. 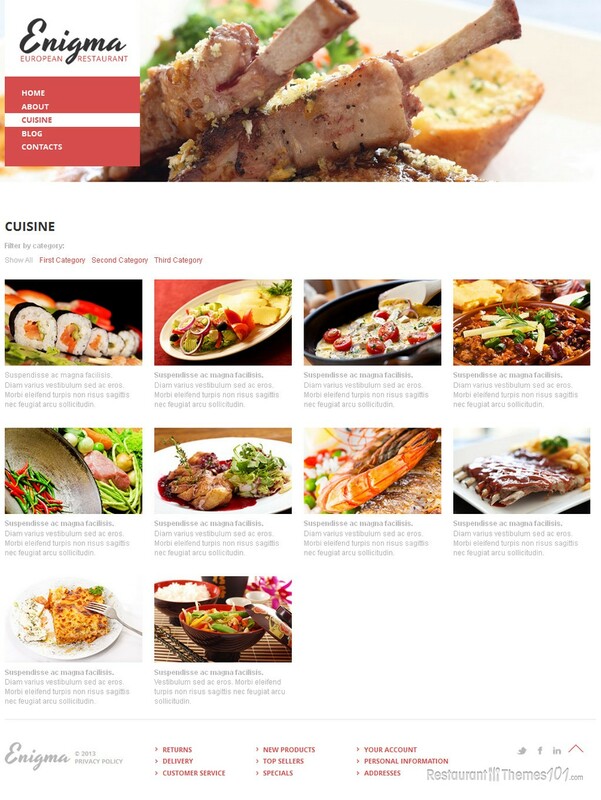 This responsive Joomla restaurant theme is very easy to manage thanks to the awesome Bootstrap framework it was built upon, and you can be sure you will be able to install and run it all by yourself. Everything about this template is responsive, as it offers smartphone and tablet layout versions as well, so you can rest assure your website will look excellent no matter what device it is seen from.